I am particularly excited about the arrival of boot weather - which I know everyone and their dog says every fall - but after living in a tropical climate that had no boot weather, I am seriously stoked. 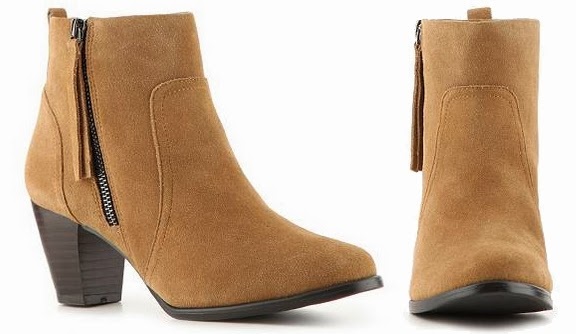 I have had my heart set on a light brown pair of ankle boots. I am loving this pair. Have you jumped on the ankle boot bandwagon? I've been looking for ankle boots just like these!! Thanks for the link. It is really exotic and i just bought same using promotional coupon code. Thanks for sharing this post. I read this post and decided to add new pair into my collection.